Wednesday morning from 9:15 to 10:15AM , Tuesday Evening, 8 to 9 PM Contact Tyson Bartel 250-226-6826 or email at tyson@thaitouch.ca. ‘Awareness through Movement’ – Learn to use your movement as an effective way to relax, release tension and reduce pain. Easy-to-do movement patterns feel good, exercise your brain and give you more control of your body-the key to physical and mental health. Certified Feldenkrais practitioner and yoga teacher.Rates: $12 drop-in; $10 regular attendance. Travelling the world was the beginning of Tyson Bartel’s journey both inside and out. As a young man he decided visiting the Mesoamerican ruins could help him figure out what direction his education would take. It did. Instead of determining his major, he was bitten by the travel bug and abandoned college for lessons learned on the road. In Asia, Tyson encountered not only Thai massage, but also Vipassana meditation. The next leg of his exploration led him to India, where he found a rich world filled with both heaven and hell. The strong spiritual traditions and the rigours of daily life affected Tyson, who studied yoga as well as meditation while there. Back in Kamloops, Tyson became involved with the only yoga studio and was asked teach. It was during a yoga teacher training session that Tyson first came across Feldenkrais, a system of movement and awareness developed by Moshé Feldenkrais. Having suffered from back trouble, he first felt a shift during one set of exercises, and continued to repeat the exercises. Tyson’s experience with the movements lit a fire in him to learn more. Founder Moshé Feldenkrais explored the connection between the body and mind, particularly anxiety and movement. He stated that object of the exercises was “more flexible minds, not just more flexible bodies.” A devoted judo practitioner, developed techniques designed to increase awareness of the body and the connections between mind and body. Thanks to a teacher that came to the Kamloops yoga studio, Tyson found out about a four-year Feldenkrais program being offered in Washington state. Even though it was a struggle he completed the training in 2001. Another more recent voyage shifted his life again when he came to the Kootenays a few years ago leaving his successful yoga teaching career. Tyson has made the jump to the Kootenays with no regrets. Although he still has strong ties to family and community in Kamloops, the Kootenays are now home for him. 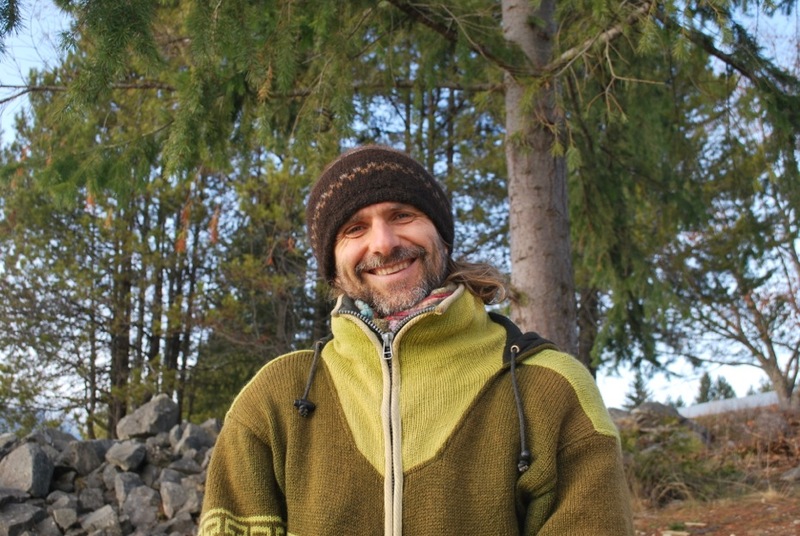 He now teaches Feldenkrais in Nakusp and Winlaw, and periodically travels back to Kamloops to offer classes there too.